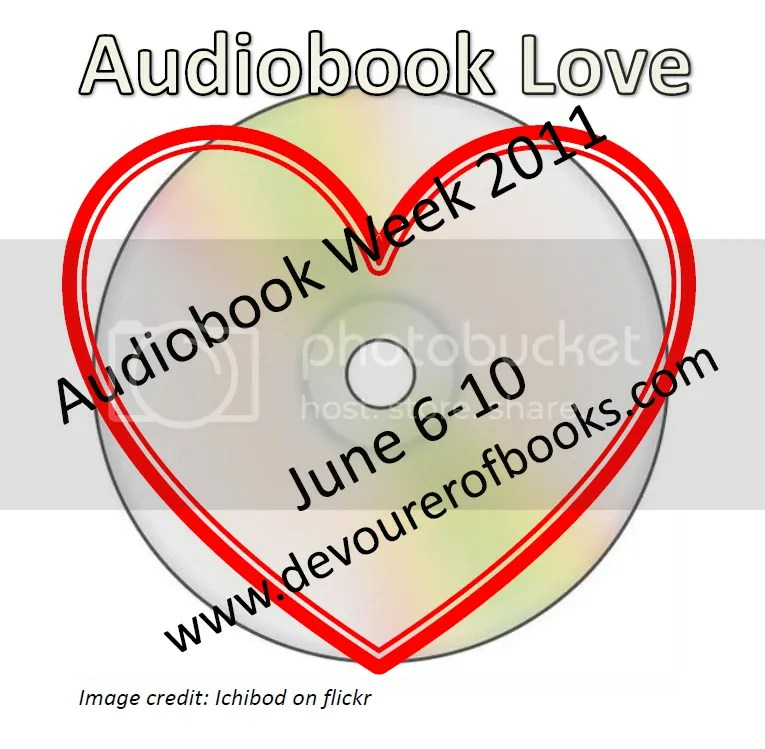 Bonobo Handshake [Audiobook Review] – my books. my life. Bonobo Handshake is a memoir of sorts. It tells Woods’ story of her time in the Democratic Republic of Congo at Lola Ya Bonobo Sanctuary, a sanctuary for bonobos – like chimps but smaller, friendlier, and…um…friskier. Woods’ boyfriend, who normally studies chimps, finds them irritating, but Woods falls in love and finally finds her place in the world. I’d heard good things about Bonobo Handshake when I picked it up but I guess I hadn’t actually paid much attention to its content because I was surprised when the book focused so much on Woods and not the bonobos. But since it is her memoir, I probably shouldn’t have been surprised. And I can easily adapt when a book isn’t what I was expecting, so I sat back and enjoyed the story. 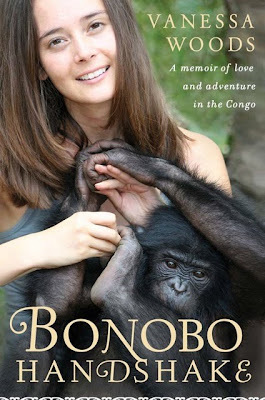 Watching Woods learn to love the bonobos and seeing them through her story was fascinating. I think I’ve spoken of my interest in chimpanzees and bonobos before. If I weren’t a lawyer, and I had done better in my science classes, I would have loved to find some way to work with them (it’s the alternate career I always say when asked). Bonobo Handshake is full of humor, pain, joy, and loss. It takes you on the same emotional rollercoaster ride Woods herself was on. During the book, I found myself learning about Congolese politics, history, wars, and the black market trade in protected animals. I can’t help but admire the things the sancutary is doing for these Bonobos by rescuing them and educating the community about these strange little apes (check our their website here). The narration was superb. Eyre has this adorable Australian accent that I could just listen to all day, but she was able to capture the boyfriend’s American accent and the Congolese accent of the locals. I highly recommend the audio version of this book. I had this in print, then I got rid of it because I wasn’t getting to it. I think you’ve convinced me to take another look at the audio, though. I liked this one a lot too. I think this was one of the cases for me where I wouldn’t have been patient enough for the print version, so the audio worked perfectly. Great review! This sounds like a book I would really like, either in print or on audio, so I am going to have to make a note of it and add it to the list. Glad to hear that you enjoyed it so much as well! Great review!